Fabulous card Sharon, love the beautiful stitching and perfect image. 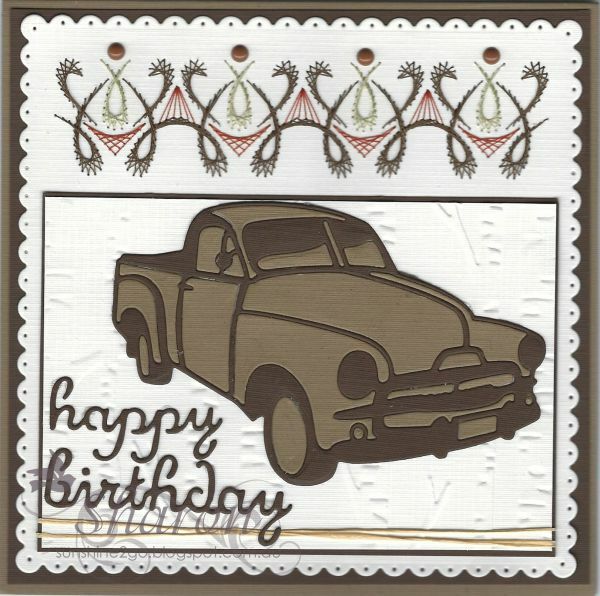 Beautiful male card,Sharon.The stitching goes very well with the car.Enjoy your week. A fabulous male card Sharon, a super vintage car.